Be sure to sign up for the newest Giveaway of R.J. Huneke's Science-Thriller CYBERWAR, and you could win one of the three signed hardcovers that will be selected at random by the good Eager Readers over at Goodreads! Win a Signed Hardcover Copy of R.J. Huneke's Thriller Cyberwar! The book will be released to bookstores from Pentian, an imprint of Lantia, on May 5, 2015. Get it in hardcover, paperback and eBook. The book is being released on May 5, 2015, but you can start reading it before then! Giveaway ends April 05, 2015. 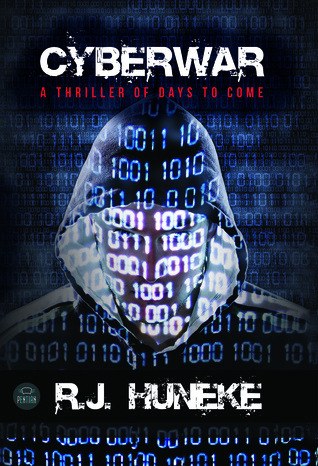 Win a signed copy of R.J. Huneke's thriller Cyberwar from the Goodreads Book Giveaway below! Ten copies are available for contestants from the US, the UK, and Australia!